Reishi is not called the divine mushroom of immortality for nothing. You may also know it under other names such as ganoderma or the lingzhi muhsroom. It has wide ranging effects. In my opinion, it is the one mushroom that most strengthens the Zheng Qi (we can also say vitality, life force, environmental resistance, etc.) out of all the mushrooms. This is why it is the most used mushroom for oncological problems after Coriolus. Both of them can stimulate the immune system to turn more actively against cancer cells. 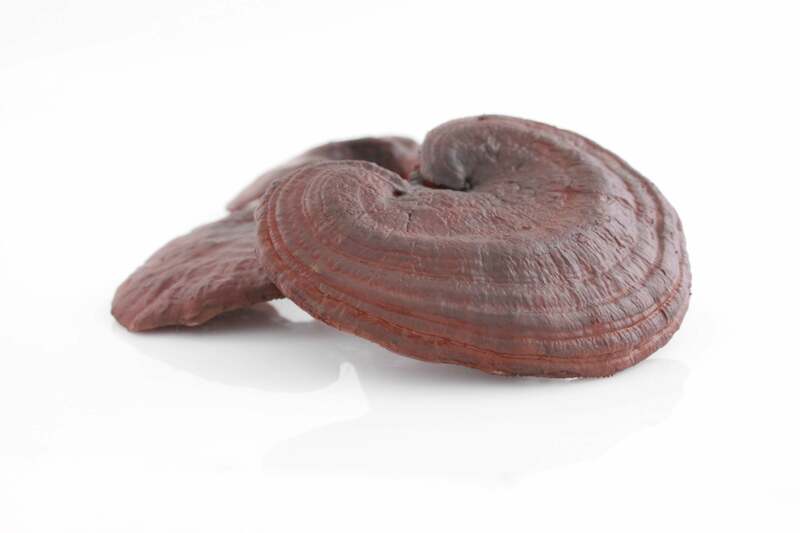 Coriolus is a bit better in this, but Reishi better strengthens our body, which is no less important in these cases; especially if a person undergoes a drastic (but often necessary) conventional treatment such as chemotherapy or radiotherapy. It can be administered preferably throughout the entire conventional treatment (and for about 2 months after it). It both helps to eliminate cancer cells and helps the body cope with demanding conventional treatment, which is usually accompanied by many unpleasant side effects. The second area in which we use Reishi is fatigue. Since it helps replenish the yin and blood, it is especially good for women. Sometimes I call it the "lady's mushroom"; perhaps even for its antiaging effect, since women age far slower when using this mushroom. It helps with various fatigue conditions, even post-partum fatigue, both physical and mental fatigue, because it has a tropism to the heart (it nourishes the heart according to Chinese medicine). And its tropism to the heart is related to other functions – according to Chinese medicine, it has An Shen effect (harmonizes the soul). The Chinese believe that the spirit Shen lives in the heart (it is our main soul, according to the Chinese we have more of them). Reishi can nourish the heart and thus pull, harmonize, soothe the spirit Shen. Therefore, it can be used in various states of mild depression, anxiety, panic attack, restlessness, also insomnia, etc. Taoist monks used it before meditation. If we want to use Reishi for psychological problems, it is better to use a powdered form. An extract from Reishi is somewhat more stimulating – so it's better for fatigue. The powder is used in a mixture for supporting sleep (I cannot name it here, but you will certainly be able to find it). In this mixture it is used with jujube, which also nourishes the heart, so they complement each other in this function. Mental imbalances may have a number of causes, but to roughly simplify, the most frequent cause is the heart (either there is an excess or lack; in both cases we should use Reishi, ideally with jujube) or in the liver – we have an excellent mixture to relax the liver, a mixture relieving "stress" (I cannot use the particular names). How do I know if I have heart problems or liver stagnation? A person with XIN (heart) problems is, according to Chinese medicine, restless, mentally unbalanced, forgetful, with heart-pounding, has an uneasy sleep, is easily frightened, rather pale. A person with GAN (liver) problems cannot relax, has a feeling of tension or constriction, mood swings, many things worsening due to stress or emotion, these symptoms more intense in women before menstruation. As I wrote above, Reishi can nourish the yin and blood. At the same time, I have stated that it harmonizes the psyche. It makes it an ideal remedy for climacteric problems such as rushes of sickness, irritability, mental restlessness, mood swings, heart pounding, etc. And I often recommend it together with a mixture for "stress". Interestingly, Reishi helps the heart both from the psychological perspective and, according to contemporary studies, from the physical perspective. That's why we can use it for a variety of cardiovascular problems. Reishi also has tropism to the lungs. Like most other mushrooms, it can both stimulate the immune system if it is weak and also regulate it if its response is disproportionate. This is used for various autoimmune or allergic problems. That's why we use it for coughs, asthma, hay fever, various allergies, COPD, emphysema, etc. It is also great for recurrent infections of the respiratory system, but not in the acute phase. If the condition is acute, it is better to use Coriolus or betaglucan (in higher doses). According to Chinese medicine, breathing is a matter of two organs: the kidneys and lungs. Therefore, in these cases it is often combined with Cordyceps. Do not forget: Cordyceps in the morning, Reishi in the evening. It is also excellent for skin problems, such as atopic eczema. Here I often provide it together with the Agaricus mushroom. Reishi can help with liver problems. It can cleanse them better than Mary thistle (Silybum marianum). However, most mushrooms can do this. It can both regenerate the liver (it has a hepatoprotective effect) and also strengthen the blood and yin of the liver. This is especially important for women, such as in the case of menstrual imbalances. Like other mushrooms it can regulate blood sugar and be used for diabetes, especially type II. It has also been proven to improve tissue response to insulin. The mushroom harmonizes blood pressure, prevents cardiac muscle hypoxia and improves the nutrition of the coronary arteries. I use Reishi for various inflammations. Or rather, chronic inflammations. It can be used with Coriolus and Auricularia for various inflammations of the locomotive apparatus (e.g. rheumatoid arthritis). It is suitable for autoimmune inflammations or excessive thyroid function, usually with Coriolus. Reishi (Ganoderma lucidum, lesklokorka lesklá, Ling zhi, “divine mushroom of immortality”) is a wood-decaying mushroom from the Polyporaceae that comes from Asia. It belongs to the huge Ganodermataceae family, which includes more than 210 different kinds of ganodermas. The Reishi cap is semi-circular or fan-shaped. It is typically glossy, as if varnished. Reishi grows mainly on wounded living trees or dead trees and their stumps. It is most often found on deciduous trees such as oaks and beeches. Reishi is very rare in the wild, but because of the great demand it is grown in large volumes commercially in cultivation farms. The cultivation and artificial growing of this mushroom dates back to the 1970s. For such cultivation, it is necessary to find a suitable substrate so that the fungus retains its composition and is a source of biologically active substances that help our body. Fortunately, mushrooms grown artificially in cultivation farms are the full-fledged replacement for those growing in the wild. Thanks to this cultivation, it is also easier to take advantage of the individual development stages of Reishi, i.e. ripe mushrooms, mycelium, spores, etc. At each stage the mushroom may have a slightly different composition and may include more of some components and less of others. Although the composition of Reishi was not known 2000 years ago, it was used by Asian people to treat many health problems. Thanks to its effects, they called it the mushroom of immortality. There is a number of historical written sources describing its effects and influence on human health and its use. Reishi is also mentioned in the “herbarium” Shen Nong Ben Cao Jing, which dates back to the rule of the Eastern Han dynasty, i.e. to 25−220 AD. This book was continually upgraded and updated to incorporate other uses of Reishi. Written references to Reishi are, of course, also found in other texts, such as Ben Cao Gang Mu. The "Western" world "discovered" Reishi in 1781, when it was described by William Curtis. Contemporary medicine, however, still overlooks and neglects this mushroom, but this has gradually been changing and many experiments, research and clinical studies have been carried out since the 1960s to confirm what people already knew thousands of years ago. Thus, Reishi's ability to modulate the immune system's activity, kill cancer cells, counteract the development of civilization diseases, etc., has been revealed, and this will be discussed later in the text. Reishi is a truly unique versatile mushroom, which has preventive, protective, and therapeutic effects. While many studies have been performed in laboratories and on animals, the results are very promising and suggest that Reishi could find its place in human medicine as well. This is also illustrated by a few clinical studies. However, there are many restrictions inhibiting the possibility of developing clinical trials and testing the effectiveness of Reishi on humans.